Classic Rock is proud to announce the launch of a brand new Fan Pack dedicated to The Cult. The Fan Pack will be centred around The Cult’s brand new studio album Choice Of Weapon. The Cult Fan Pack will include a special edition of Choice Of Weapon plus a 132-page magazine. The Fan Pack version of Choice Of Weapon comes with 10 brand new studio tracks plus two live bonus tracks, exclusive to this edition. The Fan Pack magazine contains a major, all-new interview with The Cult’s mainmen Ian Astbury and Billy Duffy, plus fellow band members Chris Wyse and John Tempest, with a wealth of exclusive, never-before-seen pictures of the band and the story behind the making of the album. The Fan Pack goes on sale May 14, a full three weeks before the actual album release. via Classic Rock » Blog Archive » Classic Rock Announces The Cult Fan Pack. UPDATE: the link above is broken, and all traces of this seem to have been removed from the Classic Rock website. Who knows?! Noisecreep was lucky enough to hear a few cuts off of ‘Choice of Weapon’ and it finds the veteran rockers mining from some of the same instrumental textures as the aforementioned ‘Sonic Temple’ album, and 2001’s ‘Between Good and Evil.’ “We started the new record with Chris [Goss] and then we hit some scheduling conflicts with him. We also felt like we got really far with some of these songs, but we just couldn’t get past the finishing line, so Ian [Astbury, vocals] thought Bob Rock might be able to get us to that point. via The Cult’s Billy Duffy on Their New Album: ‘You Don’t Overdo It, Or You End Up With ‘Chinese Democracy” – Noisecreep. 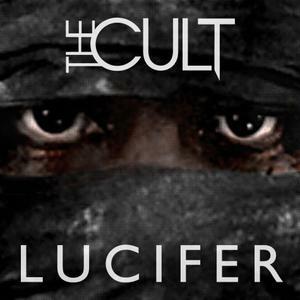 via The Cult Return With ‘Choice of Weapon,’ Offer Download of New Track ‘Lucifer’. The Cult vocalist Ian Astbury spoke with Spinner about the new album and how living inNew York Cityinspired it. 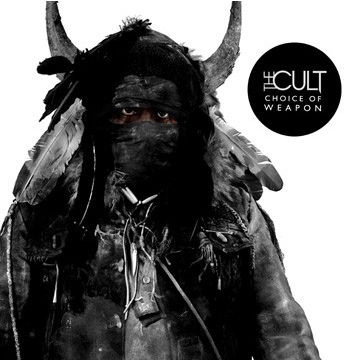 via The Cult’s ‘Choice of Weapon’: Ian Astbury Explores Violence, Politics on New LP – Spinner.